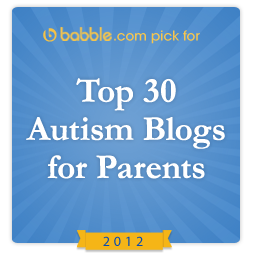 Dude, I'm An Aspie has been named to Babble's Top Autism Blogs for the second straight year. What an honor! Thank you! The 2012 honorees were selected for being invaluable resources to families and individuals who might otherwise feel confused and alone when looking for information about autism. It's an excellent list, full of blogs I have turned to myself. 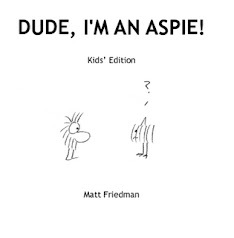 Dude, says Babble, is "a terrific resource for anyone curious about the experiences of a thirty-something with Asperger’s. 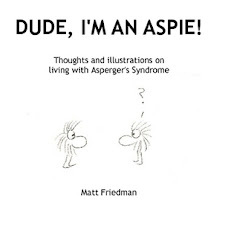 But the highlights are his cartoons, simple yet effective, which convey the essence of Asperger’s in a more engaging way than a scientific book ever could...This blog is a must-read for anyone remotely connecting to the world of Asperger’s." This is a compliment indeed. 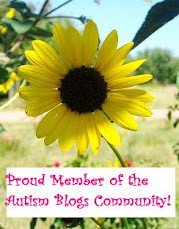 I am grateful to all of you who have been touched by what I do, and to Babble for sharing it with their readers as part of Autism Acceptance Month. 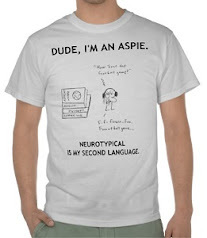 ...and if that wasn't cool enough, I'm featured today on the Thinking Person's Guide to Autism's monthlong "Slice of Life" conversation series. Check it out, dudes! I know Ben and I really look forward to your latest posts. Congratulations! Congratulations! I enjoy seeing what Fuzzy and the gang get into, and your non-cartoon posts are always informative.